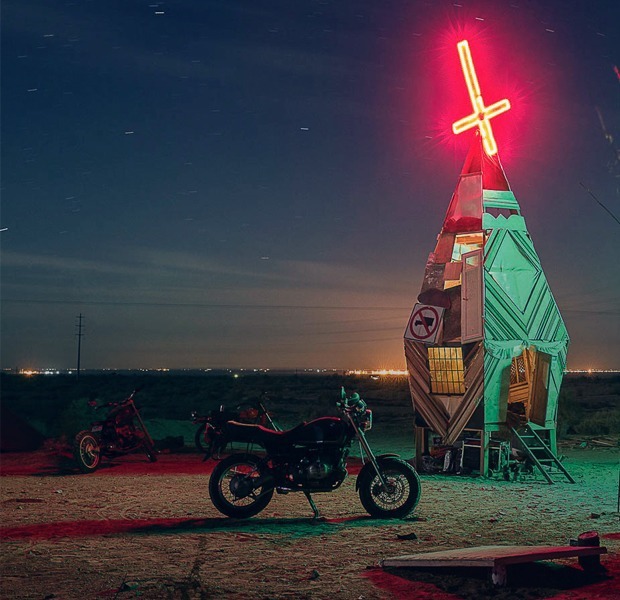 New York photographer Tod Seelie looks for airplane graveyards, rides through the drainage tunnels of Los Angeles, blows up cars in Slab City and shares photos from his Superchief residency. I had a residency at this gallery called Superchief, which has a big warehouse space in downtown LA. The residency was pretty simple. They put me up so I could make new work and have solo show of the work at their gallery. I shot some new work but quickly realized I had to shift gears and start producing the show; making large prints and producing a zine with local printers. I shot mostly in LA, but took a week to go to the desert for a week, mostly around the Salton Sea, the largest lake in California, two to three hours outside of LA. There's a section of it that used to be a bombing range for the military so there are all these weird heavy pollutants there. So it's a superfund site and no one wants to take responsibility for it. It's kind of like a no man's land. It’s a fun place to go and hang out and play in the desert. I don't think it's radioactive but I didn't test it. My understanding is they would have to remove the top 10 inches of soil—or was it 10 feet?—and then replace it with exactly the same amount. That would cost millions of dollars, and it's in the middle of nowhere, and there's no value, so why would anyone do that? 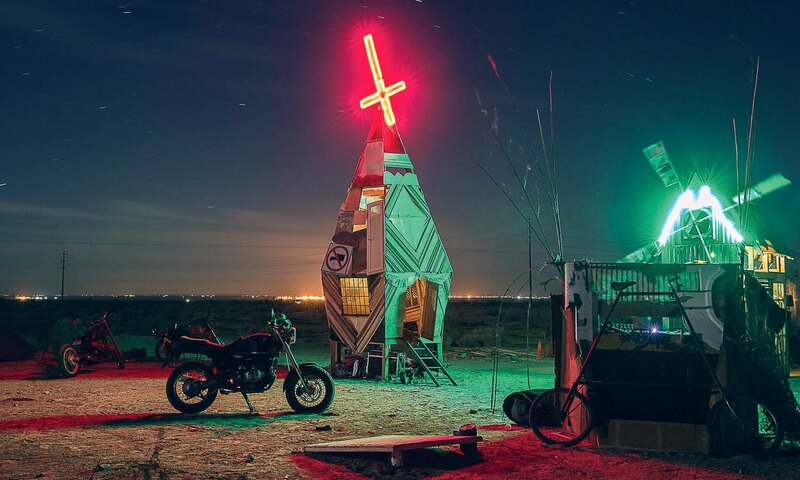 That’s where Slab City is, the infamous squatters encampment. I spent a week up there. I just camped. There's a bunch of friends, mostly from L.A., who usually go out for a big camping trip in the winter, mostly artists, so everyone makes art or brings materials out to make art in the desert. It's nice. You can do whatever you want out there. No one cares. Tod Seelie has photographed in over 25 countries on five different continents. Originally from Cleveland, he relocated to Brooklyn in 1997. In 2013 Tod published his first book of photography, BRIGHT NIGHTS: Photographs of Another New York, with Prestel Publishing. The book chronicles 15 years of living and shooting in NYC. His work has appeared in publications such as The New York Times, Stern Magazine, TIME Magazine, New York Magazine, Rolling Stone, Spin, Juxtapoz, Thrasher, Vice, Der Speigel and ARTnews among others. I’ve traveled to a lot of countries where I didn't know anyone, and just wandered around aimlessly for a month. Part of the reason why I like LA and California is because I know a lot of people out there. I could go to Washington where I know like one or two people, but one of them is a pastor so they're not exactly going to take me out into the desert to blow things up. 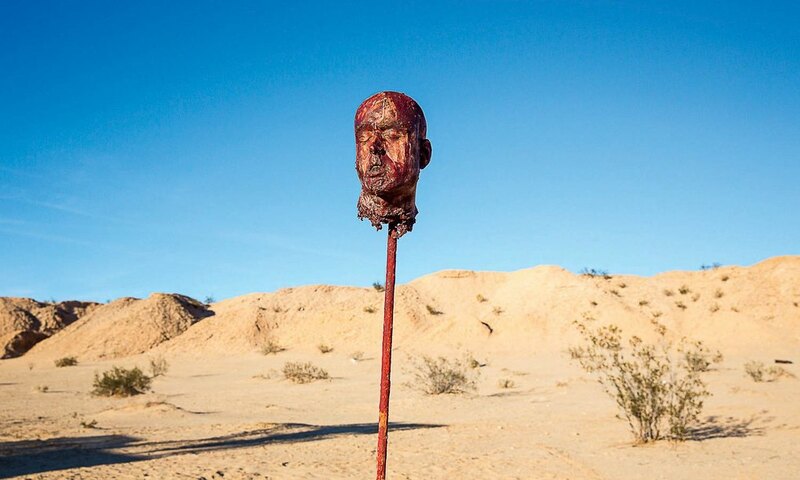 ↓ A town on the Salton Sea. 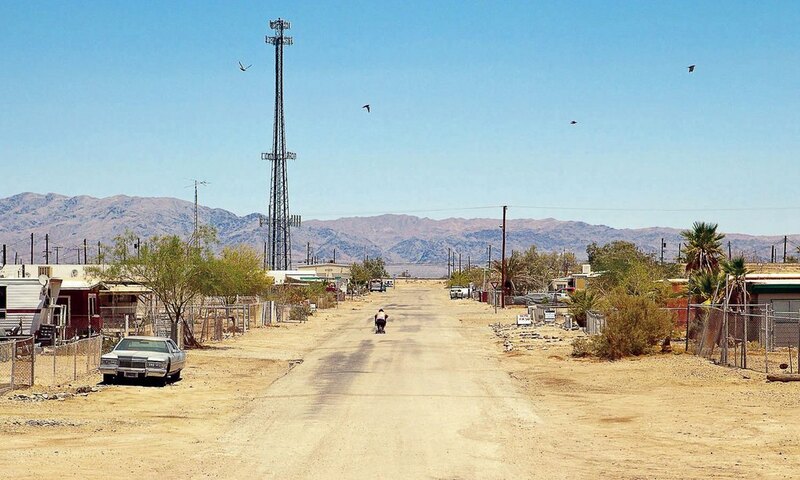 ↑ A town near the Salton Sea. ↑ Slab City. Someone was making an independent movie with their friends while out there. That's a prop. The movie's called Bring Water. ↑ Slab City. There was a lot of painting people's faces and bodies on the camping trip. ↓ Slab City. My friend Kat Bear brought out all this scrap material and built herself a two-storied diamond hut. You can't tell, but that's the back of a piano (right). They brought out a piano, so people could play piano all night. And early in the morning, unfortunately. 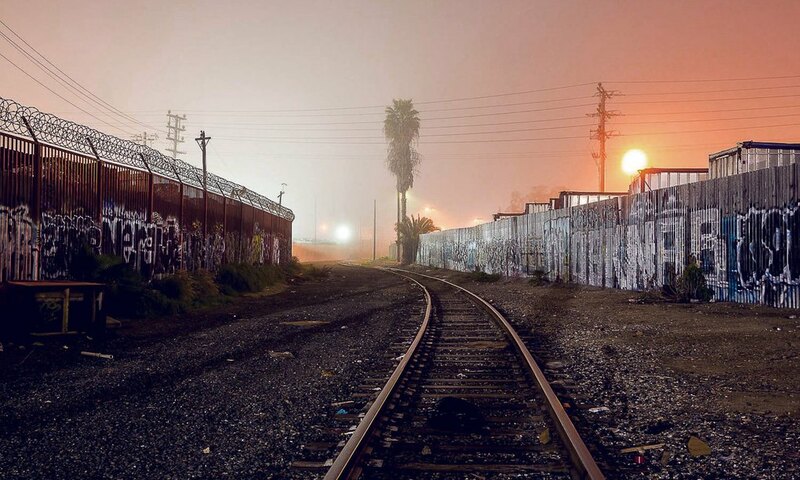 ↑ South of Downtown LA. I would just kind of wander on my bicycle a lot. ↑ A lot of this stuff is off the beaten path. You have to go find it. 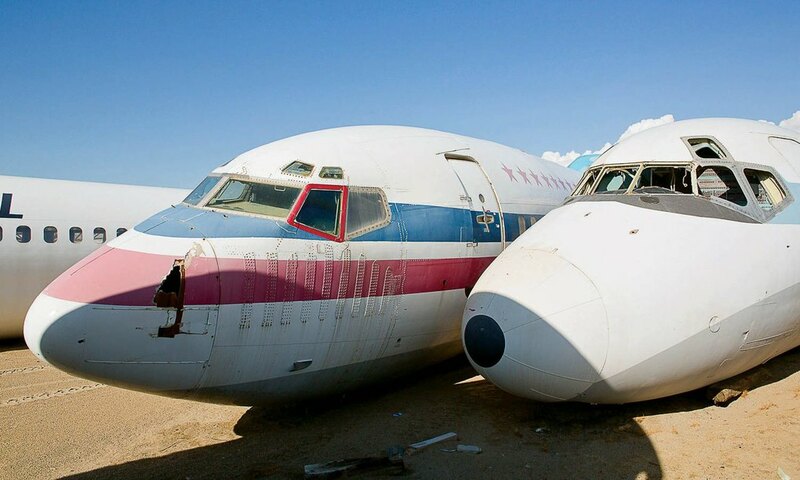 That airplane graveyard was way away from any major road. It took forever to get there. It was literally a dead end road. When you got there, the road was over. You would not stumble on it by accident. 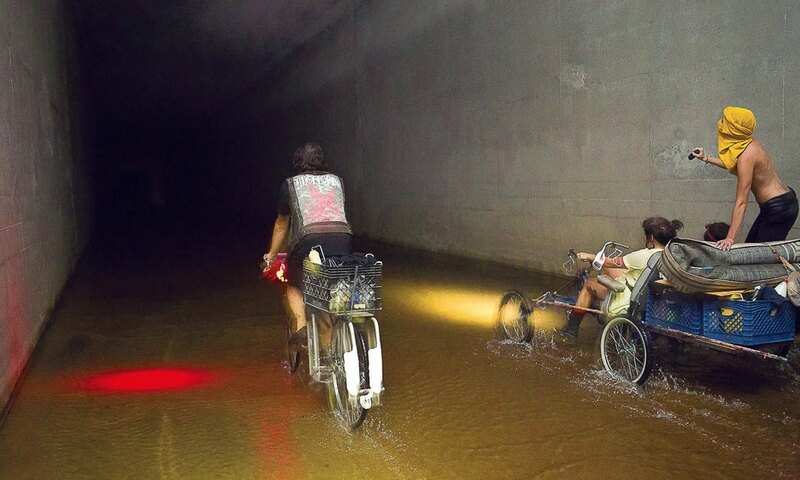 ↑ Drainage tunnels in LA. A lot of them aren't that wide, but my friends knew one that was. So we went down there. I think we're over a mile in on this one. ↑ That is Death Valley David. I met him in Death Valley on a different trip. 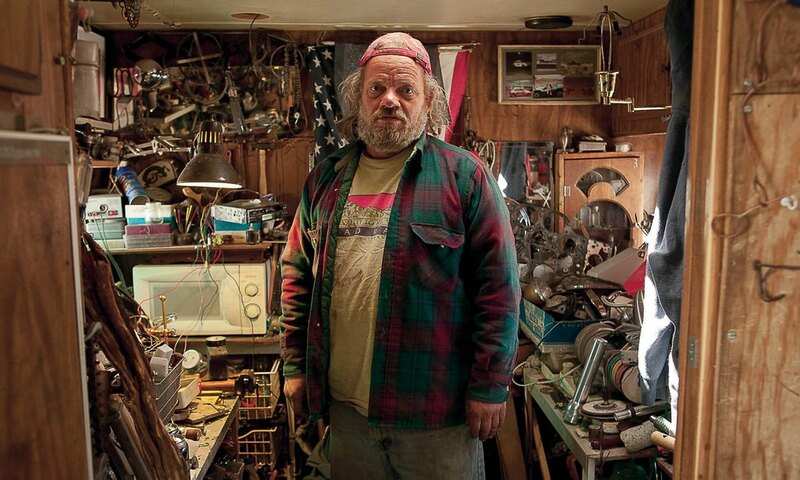 He lives in a trailer out there and his family used to make glass eyes for people who needed fake eyes, but eventually that job was replaced by plastic and computers. 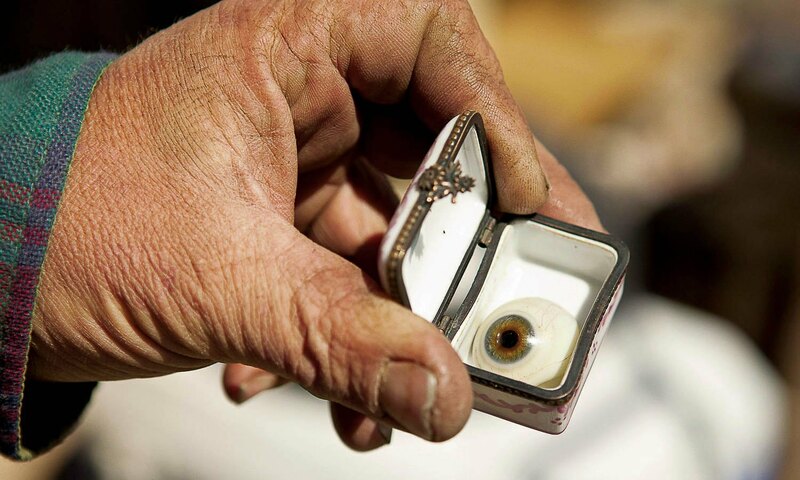 They're automated, so no one really needed people to hand-make glass eyes anymore. ↓ He had a big collection of them. It seems like he made his living finding semi-rare rocks out in the desert. 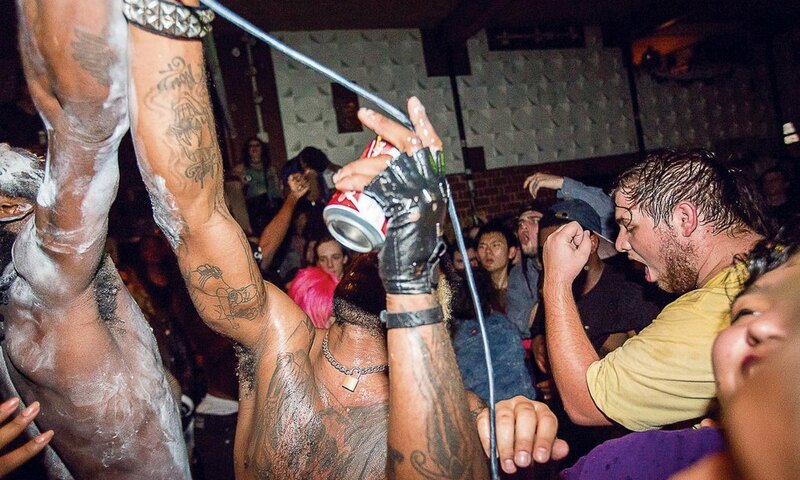 ↑ This is ho99o9 at a punk show at DIY house in LA. I knew the singer when he lived in Brooklyn. A lot of the same themes that show up in my New York book are here. 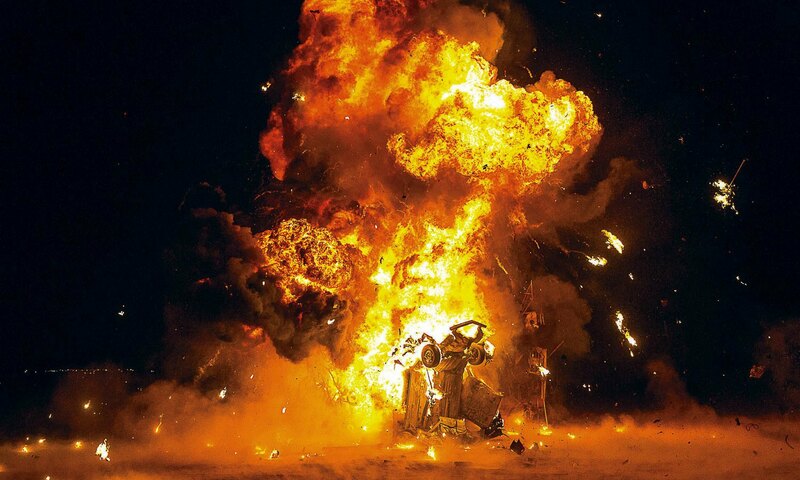 Burning cars, punk bands, weird landscapes, abandoned stuff, art events my friends have thrown, people I’ve met. Did I already say abandoned stuff?